Scent: Herbaceous, sweet, woody, with a campherous, medicinal aroma. Action: Analgesic, antispasmodic, anaphrodisiac, antiseptic, antiviral, bactericidal, carminative, cephalic, cordial, diaphoretic, digestive, diuretic, emmenagogue, expectorant, fungicidal, hypotensive, laxative, nervine, sedative, stomachic, vasodilator, vulnerary. Benefits, Indications: Aches, arthritis, insomnia, migraines, neuralgia, rheumatism, sprains, anxiety, nervous tension, bruises, burns, sores, cuts, circulatory disorders, respiratory infections, fungal and viral infections, menstrual problems, ringworm, shingles, shock, spasms, sunburn, fluid retention. May be relaxing and calming to the muscles that constrict and sometimes contribute to headaches. More Info: Marjoram oil has a warming action and calms emotions, relieves anxiety as well as stress and helps to calms hyperactive people. It has good muscle relaxant properties and the pain killing properties are useful for rheumatic pains as well as sprains, strains and spasms, as well as swollen joints and painful muscles. It soothes the digestive system and helps with cramps, dyspepsia, constipation and flatulence and has a beneficial action on colds, sinusitis, bronchitis and asthma. As a general relaxant, marjoram oil is used for headaches, migraines and insomnia and although it can diminish sexual desire, it is great for treating delayed, painful or scanty monthly periods as well as menstrual cramps. 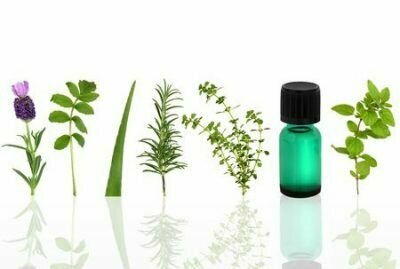 Precautions: Marjoram oil is nontoxic, non-irritant and non-sensitizing but should not be used during pregnancy.